Philip Sparke’s Tuba Concerto was commissioned by the German brass instrument manufacturer, Miraphone; it was composed for, and dedicated to, the composer’s long-time friend, Markus Theinert, who gave the first performance on 30th April 2006 in Sigmaringen, Germany, accompanied by the Brass Band Oberschwaben-Allgau. The idea for a tuba concerto had been discussed many times between the soloist and composer, who wanted to be sure that the piece really was a concerto for tuba and that its material would suit the instrument in the role of a soloist without resorting to caricature. To this end the solo part covers almost 31/2 octaves and uses the instrument’s technical and lyrical qualities to the full. The concerto is in two joined movements, which can both be programmed individually. The first movement starts slowly with a noble tune and gathers momentum until a cadenza heralds the return of the opening material. The second is in the form of a scherzo, which starts in determined mood and gradually lightens in character until, again, the opening material closes the work robustly. 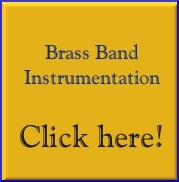 The concerto is available with concert band, brass band or piano accompaniments. Performance notes:The opening of the concerto can be played either by the soloist or the band, following the instructions in the score and parts. Tuba Concerto, by Philip Sparke, is available on the CD 'Debut - Joseph Cook' by Black Dyke Band, conducted by Dr. Nicholas J. Childs. To purchase the CD or see a track listing please click here.